Unspeakable Deviance is an event collaboration project between Unpronounceable and myself The Deviant. This project came about from a mutual love of the late great J Dilla, especially as unfortunately he’s been gone ten years now. 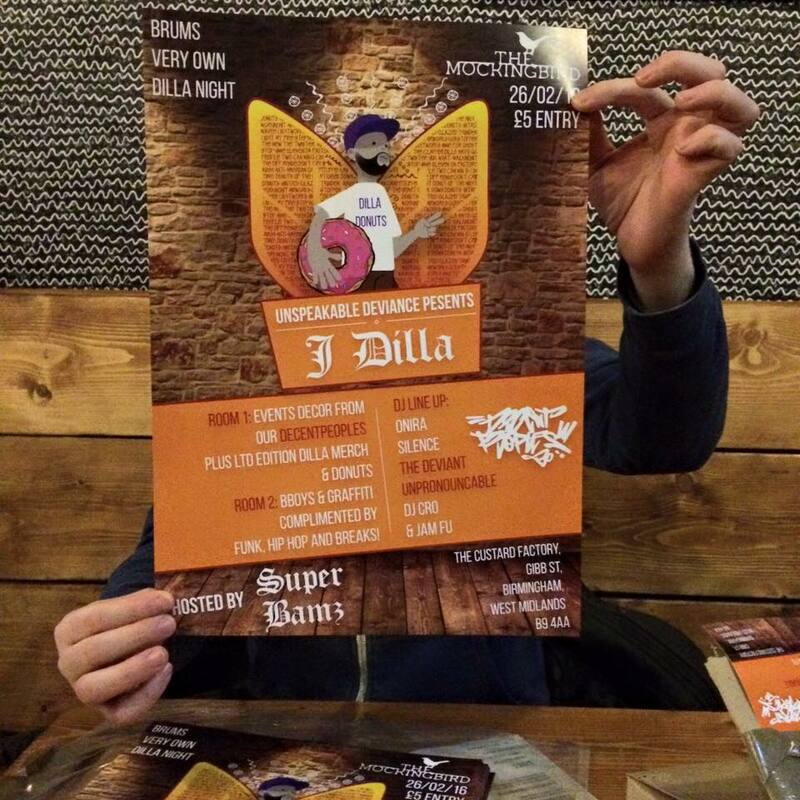 Unpronouncable and myself got booked for a night and a conversation started as I was intrigued where Unpronouncable’s J Dilla t-shirt came from! We had a lot more in common than DJing and ideas started to form. One of the first things we actually spoke about was Listening Sessions as Unpronounceable told me he was starting to get to grips with beatmaking and I invited him down to hear his beats on a proper sound system. I’m glad to say he did and now it’s lead to him being booked for this and you can catch him regularly here too. I also have to give it up for Yalla! 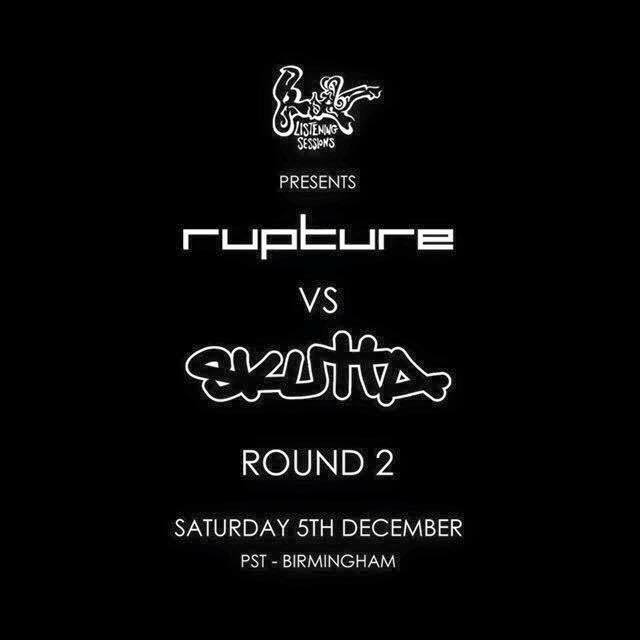 Unpronounceable and myself have never missed an event yet and they have been a big inspiration to us, in wanting to provide a different kind of event in Birmingham that doesn’t rely on massive names and ridiculous prices to guarantee success, but provide consistency, quality and diversity. I will be playing a lot of original J Dilla samples on vinyl (no genre restrictions) and hard to track down remixes, plus a funky drum break heavy set in the Cinema. Dj Cro of Crate Escape Records will be digging deep in the crates to find the best J Dilla beats on wax with an exclusive all vinyl set in the Bar. Onira of Yalla will be throwing down some of the hardest J Dilla inspired beats with some nice surprises as always! This will all be hosted by Superbamz of Wildfyre Entertainment. We will be supplying fresh donuts for sale on the night and original event posters. 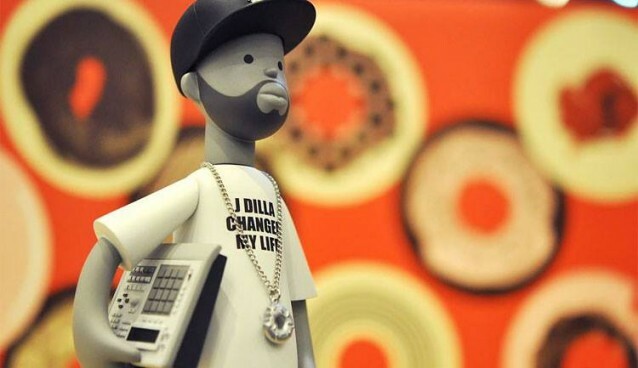 All of the sales of the baked goods and 50% of the poster sales will go to The J Dilla Foundation. All of the artwork was created by visual mastermind Nyko of Jussfresh Design Co.
All of this charitable funky headnodding goodness will be held at The Mockingbird, Custard factory this Friday 26th February 9 til Close! Big ups to Elkie and Goosensei Futurepast Zine Yalla and JussFresh Design Co. Unspeakable Deviance will be back with more events this year so stay tuned! Sounds like it’s going to be a special night for all the true beat connoisseurs out there! Check the event page on Facebook here for more information.